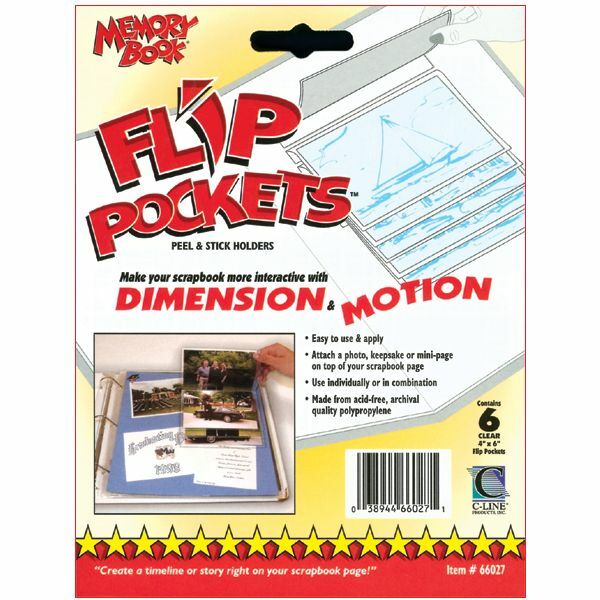 Flip Pockets Peel & Stick Holders 4"X6" 6/Pkg - C-LINE-Memory Book Flip Pockets. 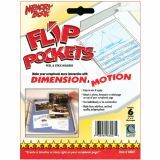 Make your scrapbook more interactive by adding dimension and motion with Flip Pockets! These self-adhesive pockets are easy to use and apply: simply insert a photo, keepsake, or mini page into the Flip Pocket and attach it to your scrapbook page. The pockets are made of acid-free, archival quality polypropylene. This package contains six clear 4x6in Flip Pockets. Made in USA.